Tran was awarded the Gates Millennium Scholarship and earned her graduate degree at Grand Valley State University. 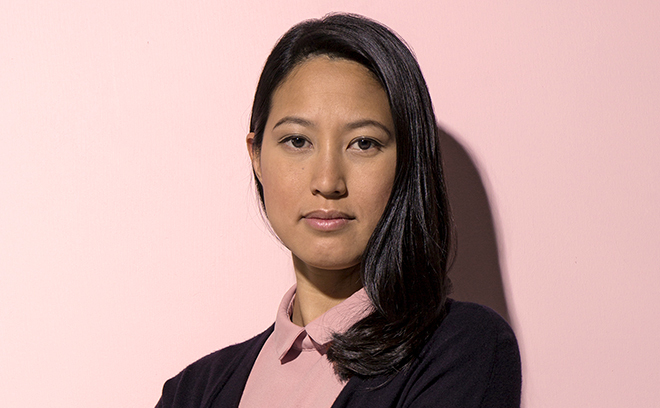 Since 2007, she has designed for such clients as Toyota, Nike, ESPN, Hyundai, Sony, and Apple. Her first short documentary film, 40 Years Young, was featured in the 2014 Asian American International Film Festival NYC. She was also a participant in the Adventure Filmmaker’s Workshop at the Banff Mountain Film Festival that same year. In the world of title sequence design, Tran has worked on the title sequences for films The Lego Movie for Alma Mater as well as Pacific Rim and for TV series Stranger Things for Imaginary Forces.